Benefit from versatile design tools that allow you to originate graphically detailed assembly instructions, complex user manuals and multi-faceted documentation with impactful and exacting specifications. Make the most of your content and important data by repurposing it from existing sources, including 3D designs with the integrated XVL Studio Corel Edition, and the optional XVL Studio 3D CAD Corel Edition add-on for advanced 3D CAD assembly formats. With 3D visualization efficiencies, you can insert 3D models as linked or embedded objects into Corel DESIGNER® illustration files for instant access, sharing and reference. Leverage all the power you need with full support for a variety of content exchange types including .DWG CAD files, and over 100 other data file formats to publish, share and output important technical documents. Using a diverse set of cross-media publishing and distribution capabilities, including CGM, WebCGM, SVG and PDF, you will ensure all of your important technical files will be delivered in a readable format. Disseminate your technical designs and documentation with ease using enhanced support for technical publication standards. Publish S1000D (incl. Issue 4.2) or ATA iSpec 2200 compliant IETPs, and also deliver technical communication projects that feature 3D PDF and PDF/A support. Produce illustrations that include text, then output for translation directly to the Translation Memory System (TMS), and process the translated results for global technical publication. 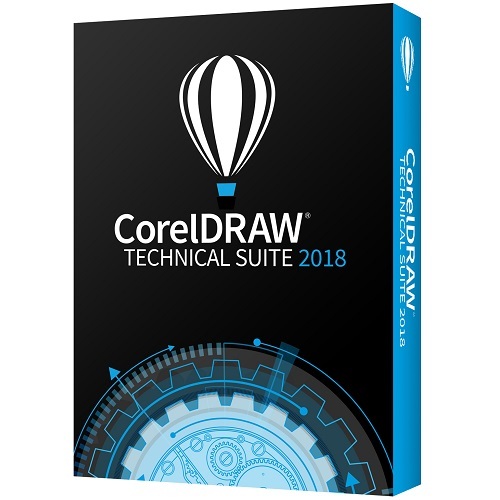 Corel DESIGNER 2018 processes imported translations to create multi-lingual or localized documents with text formatting in tact so that multi-lingual illustrations are ready for immediate publication. Include high-quality photos in your illustrations using the impressive photo-editing capabilities of Corel® PHOTO-PAINT® 2018, including the new interactive straighten feature and intuitive perspective adjustment. With professional-level tools, you can ensure the photos used in your visual communications are precise and legible at any resolution. Adapt and customize your design space to match your workflow needs, and use predefined workspaces to keep industry-specific tools organized and accessible in one place. Offering more UI customization options than ever before, you can tailor your design space with a unique look.